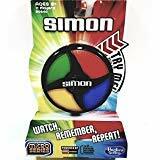 Simon Game, by HasbroCategory: Simon HandheldGet ready to watch, remember, repeat! 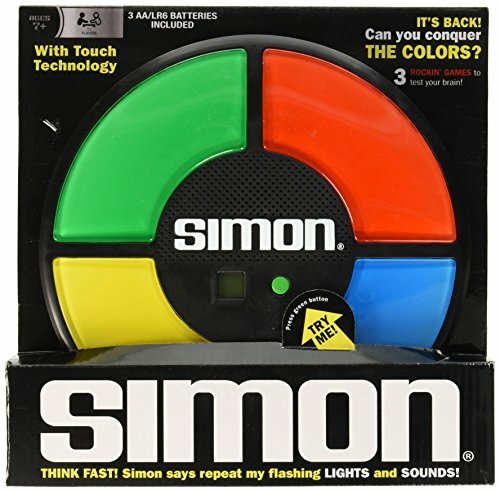 The Simon game is the exciting electronic game of lights and sounds in which players must repeat random sequences of lights by pressing the colored pads in the correct order. It's fast-paced play, with lights and sounds that can challenge you. Experience the fun as you repeat the patterns and advance to higher levels. Keep track of your score as you challenge friends or try to beat your own high score. Hasbro Gaming and all related terms are trademarks of Hasbro. 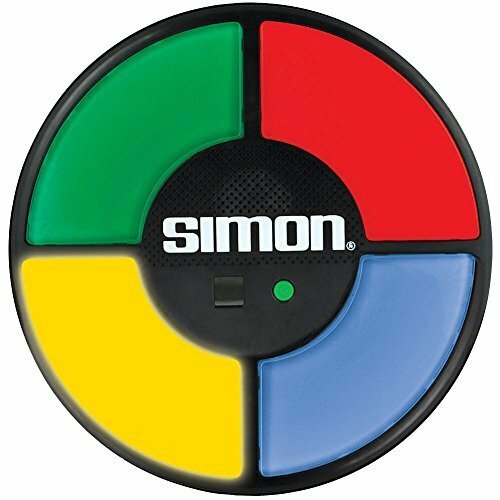 Repeat the Color Patterns To beat the Simon game, players need to remember the color pattern and repeat it by pressing the colored buttons on the game unit in the correct order. It starts off at a nice steady pace, but the more you play, the more complicated the patterns become, building suspense with each turn. Players try to hit a new high score by completing the longest sequence possible without messing up. 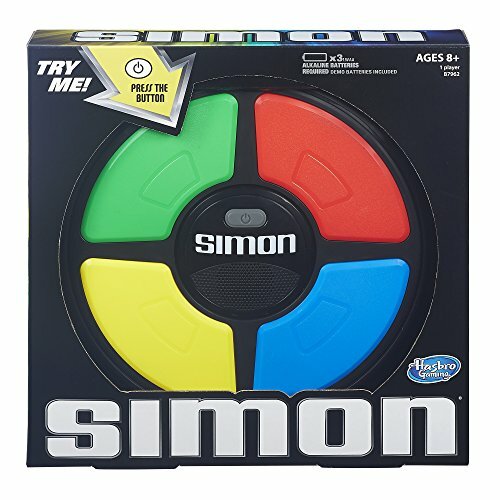 Can you beat the Simon game? RecZone Electronic Handheld 5-in-1 Poker GameCategory: Simon HandheldGet this RecZoneHandheld Electronic Poker Game and be entertained for hours. Now you can play the five most popular poker games almost any time you want. RecZone manufactures many handheld games for kids, and ensures quality and entertainment. This game is designed for the single player, and is made to turn itself off after two minutes of idle time to save your batteries for when you need them. The automatic score-keeping ensures you get credit for your cunning moves. Take the handheld poker game with you when you travel. The RecZoneHandheld Electronic Poker Game runs on a single AAA battery and comes with a 90-day limited warranty. Use this game to test your strategy and moves before you use them in Vegas or at your next poker night. The Oregon Trail Electronic Handheld GameCategory: Simon HandheldThe classic computer game, now in a handheld size! Learn about the realities of 19th-century pioneer life on The Oregon Trail - one of the most successful computer games of all time! Choose your profession and your traveling companions, then set out on the trek from Independence, Missouri to Oregon's Willamette Valley circa 1848. Fill your covered wagon with supplies and prepare to cross rivers and mountain ranges along the way - hunting for food and trading for supplies as you go. Monitor your traveling pace, supplies and the health of your party closely to make sure everyone arrives safely and to avoid the dreaded message "You have died of dysentery." Authentic 80's graphics, sounds and game play! 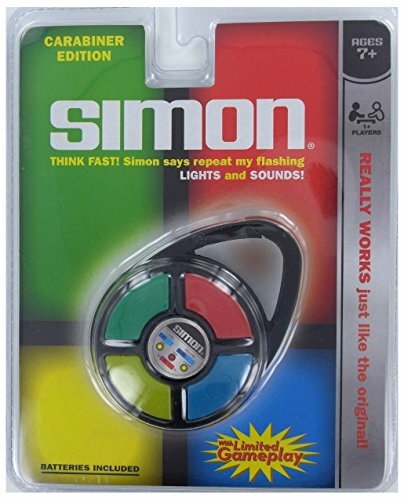 Hasbro Simon Electronic Memory GameCategory: Simon HandheldEnjoy hours of endless fun with the Simon Electronic Game. It offers three ways to play along with versatile 1-player and 2-player modes. 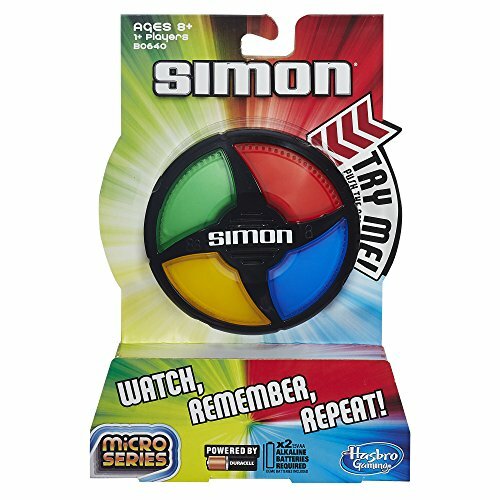 The Simon memory game was first released in the 1980s, when it became a highly popular addition to many families' board game collections. Newly redesigned, it now features a much sleeker look, a digital screen and multiple enhanced features. 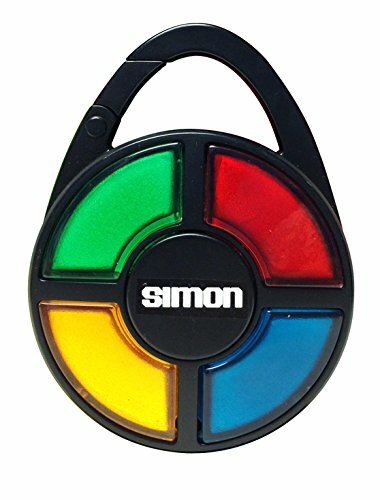 This Simon game has an easy-to-read counter and various special effects. It comes with batteries and is appropriate for children who are 7-years-old and up. 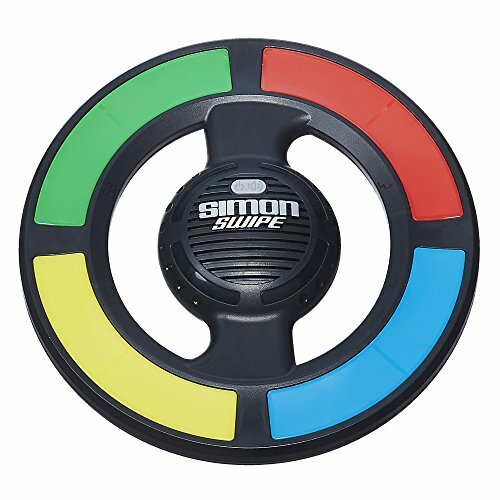 The Simon Electronic Game would make a great gift for a birthday or other special occasion. Trademark Electronic Handheld Slot Machine GameCategory: Simon HandheldAll the fun of a Las Vegas slot machine in the palm of your hand! The game is easy to play and fun entertainment for hours. RecZone Electronic Handheld Las Vegas Style Blackjack GameCategory: Simon HandheldBe entertained for hours with this innovative RecZone Handheld Blackjack Game. The game is designed for up to four players. This Las Vegas style electronic handheld game resets the score to zero after 200 points are earned. It also turns itself off after sitting idle for two minutes. The electronic game has automatic score keeping, creating a fair-play environment for all parties. The deck shuffles between hands. This game is an effective way to test your Blackjack strategy. It is small enough to hold in your hand, turning travel-time into play-time. 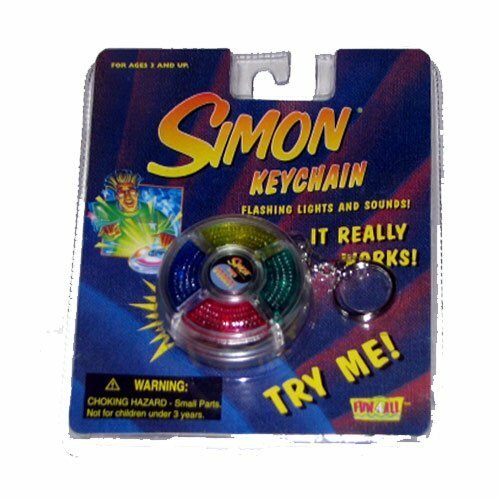 12 Pack of Water Ring Game Machine Arcade Video Children's Kid's Toy Handheld Water Game (Colors May Vary) Fun party favor, goodie bag or stocking stufferg,Category: Simon HandheldSet of 12 Water Ring Game Machine Arcade Video Children's Kid's Toy Handheld Water Game. The Handheld Water Game Is Fun For All Age Groups From age 5 and up, there is no one who will play with the Handheld Water Game and won’t absolutely love it. It is a perfect pastime to keep you busy and entertained when traveling, queuing and taking short breaks. It is so small, lightweight and compact that you can always carry it in your bag or pocket and take it out to play whenever you want. The Handheld Water Game Will Help You Release Your Stress. Do you feel stressful, often? Does this life-consuming feeling sometimes appear for no apparent reason? You can now fight it with the help of the Handheld Water Toy. It will help you reduce your stress in a very fun and pleasant way. Try to put those colorful Rings in the spike and the colorful balls in the basket and feel your nerves calming and your mood improving. A Fun Handheld Game To Pass Your Time With Your Friends This package consists of 2 Handheld Water Games that come in a beautiful gift-ready package. You can, therefore, give one of the 2 Handheld Water Toys as a gift to your friend and challenge them in battles. You can also teach this Game to your kids and nephews and show them what a wonderful childhood you had. This is great for party favors, goodie bags, stuffers, gift for kids, gift bags, party bags, party favor toys, toy gifts, goody bags, stocking stuffer. 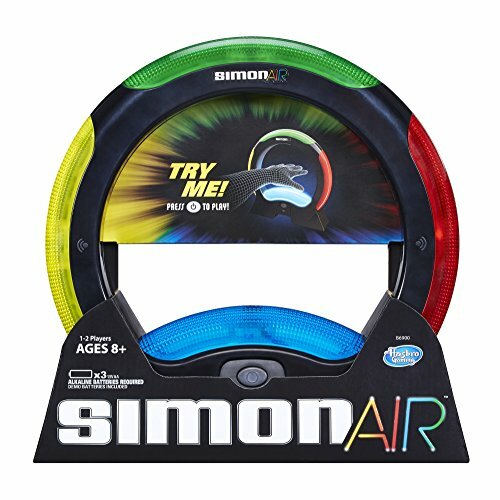 This bulk toys is fun and will keep the kids entertained for hours at birthday parties for boys and girls. How to operate: Press on both keypads to shoot rings through the water. Objective of The Game: Try to get as much rings onto the towers as possible. Great For a Variety of Uses: Fun party favor, goodie bag or stocking stuffer. Size Dimensions: Approx. width: 6 inches.